Awhile back Pamela over at From My Porch To Yours featured me awhile back on How I Found My Style and I thought I'd share it with all of you, as well. My style seems to be changing now and I'm still finding my style. My home is in a state of transition with our oldest having moved out a few years ago and our youngest will be graduating from college in two years or so. Soon we will be empty nesters in a three story house. We might even be starting over in a new house with a blank slate....and then....oh the possibilities! My Foyer represents my style at the moment...a little vintage, a little classic and not too cluttered. Sometimes I'll change up the chairs with new acquisitions. 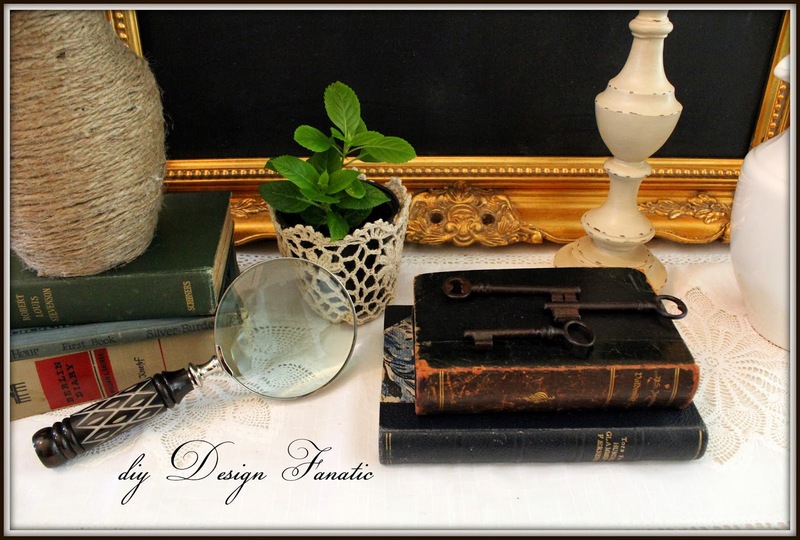 ..that was back in the late 80's and early 90's, (yep, I'm that old) back when everything was traditional and very formal, we purchased a few nice pieces for our bedroom, dining room and living room. Everything I picked out was 18th Century Chippendale. Maybe one of these days I might paint the china cabinet I picked up on Craigslist a few years ago. It's the matching cabinet to the Thomasville dining set I bought way back in the 90's. I can't remember how much I paid (a couple hundred dollars), but it was a lot less than if I had purchased it new. We bought the table and chairs for 50% off retail from a company in North Carolina from an ad in Southern Living. That was BEFORE the internet. How did we live before the world wide web??? Our first sofa before kids was a high end champagne color damask sofa in our formal living room. I just heard all of you with young children groan. I managed to find a slipcover and we kept it for many years after that. A few years ago I finally broke down and bought an inexpensive sofa to get us through the teenage years. Maybe someday we'll get a nice sofa again. Our Family Room is pretty eclectic with our original 18th century Chippendale reproduction coffee table being the only traditional piece in the room. 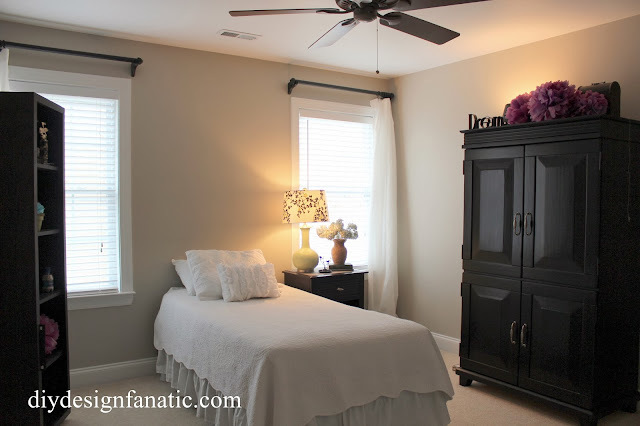 Our bedroom is still pretty formal with the classic wood dresser and armoire, but has a vintage teak chest that's a family heirloom, a couple of Craigslist and new finds, as well as Ikea curtains thrown in the mix. While our children were young and even into their early teens, my style became a little more practical.. I'm not sure my style changed at all during that time as my attention turned to one of my loves....digging in the dirt. 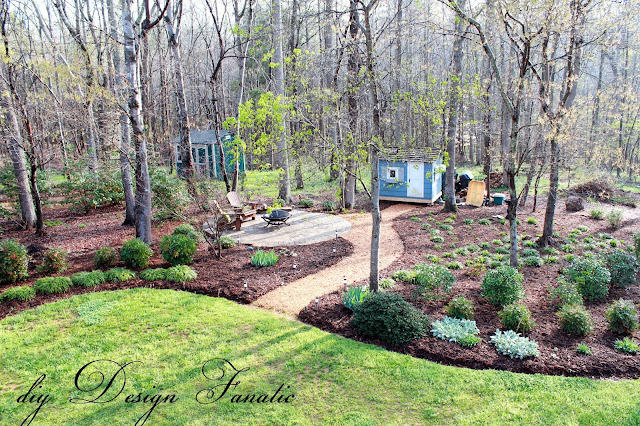 I LOVE gardening and spent a lot of time outside with my husband creating a park like yard. 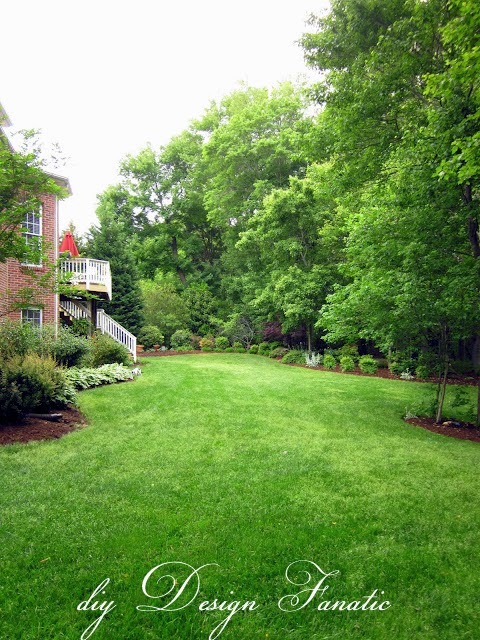 We started with a large, almost acre lot filled with overgrown, vine infested woods and 22 shrubs from the builder. My husband installed a cobblestone patio just inside the woods off the path to the creek. This photo was taken several years ago. Here's the view of the garden from our deck. This picture was taken last March just as the leaves were starting to emerge. We had just put down fresh mulch. Oh how I love Spring in the garden. 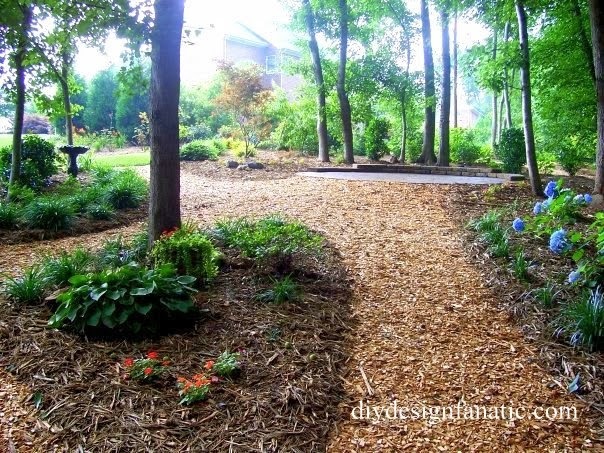 Mulch makes yard work a little easier, I wrote about it HERE. Looking at these photos of the garden make me "Spring sick". All of this COLD weather makes me long for Spring. 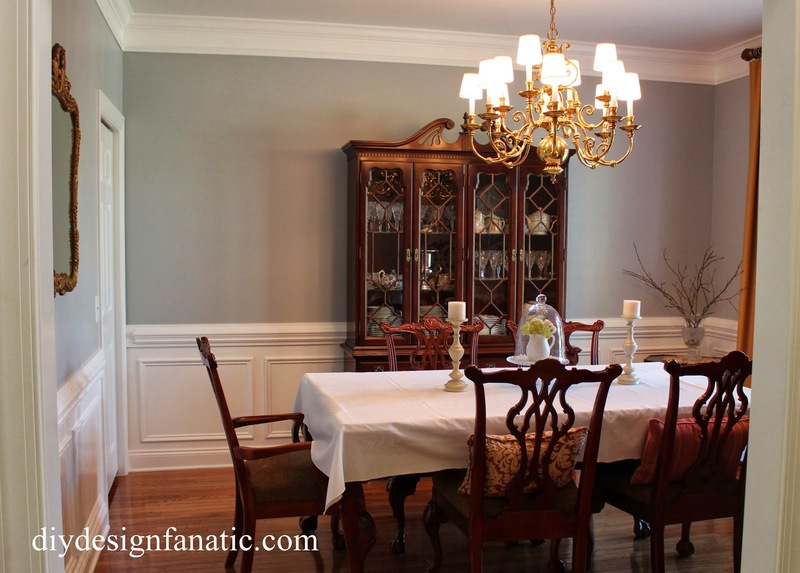 My Breakfast Room was one of my least favorite rooms before we made a few changes. A couple of years ago, we lightened up the paint to a more neutral color, found a great little round table on Craigslist for $100 and hung some long $24 per window, white Ikea curtains. Now the Breakfast Room is my favorite space to decorate for holidays and set up for parties. and my favorite: decorated for Christmas! Our oldest daughter's room was painted a few months ago to a more neutral color. We retrofitted the armoire for her, which was of course, a Craigslist find. You can see the inside of the armoire HERE. 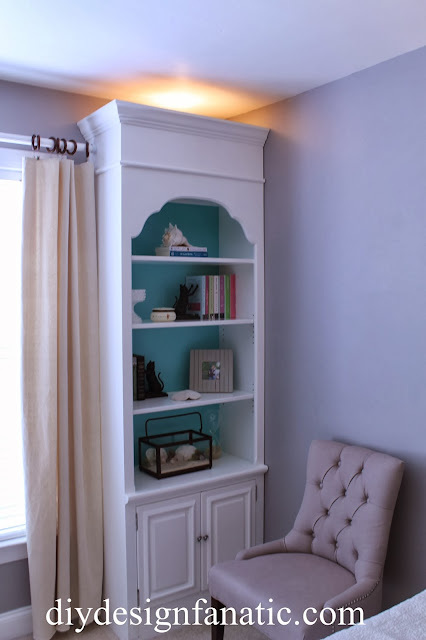 We love to DIY and one of my favorite diy projects of all time is the Bookcase Makeover we did for our youngest daughter's room. I found some really ugly stained pine bookcases on ~ you guessed it...Craigslist and had my husband build up the top and bottom. After making the design changes, we painted the outside a bright white. Our daughter chose the interior color. I love it when projects turn out so well. 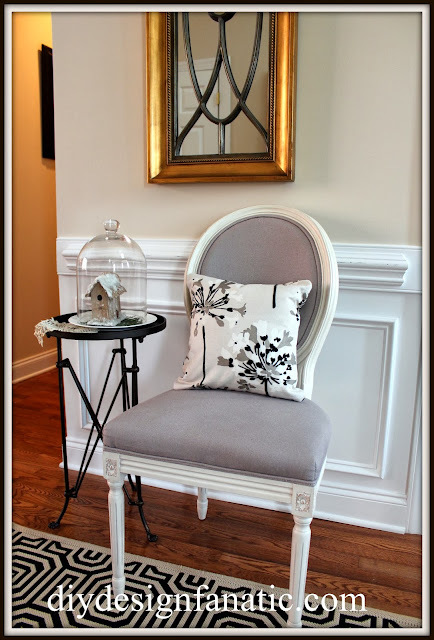 I guess my style is eclectic; traditional lines with some vintage and classic modern additions. Whatever style it is, the most important thing to us is that it's comfortable. A place where family can sit down and relax and put their feet up. 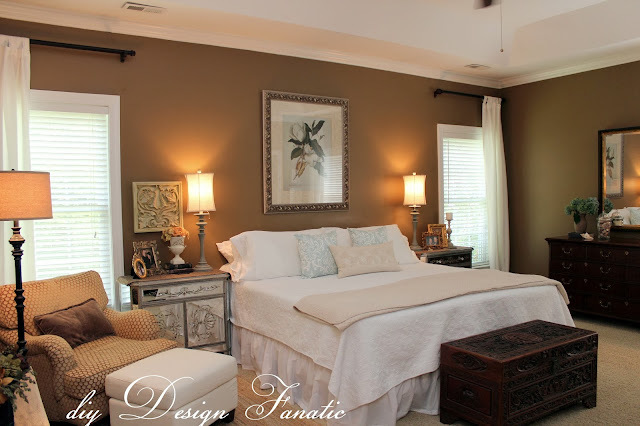 So, what's your style now or what is your dream style~ as in when your kids get a little order? I find my style changing as I go too! 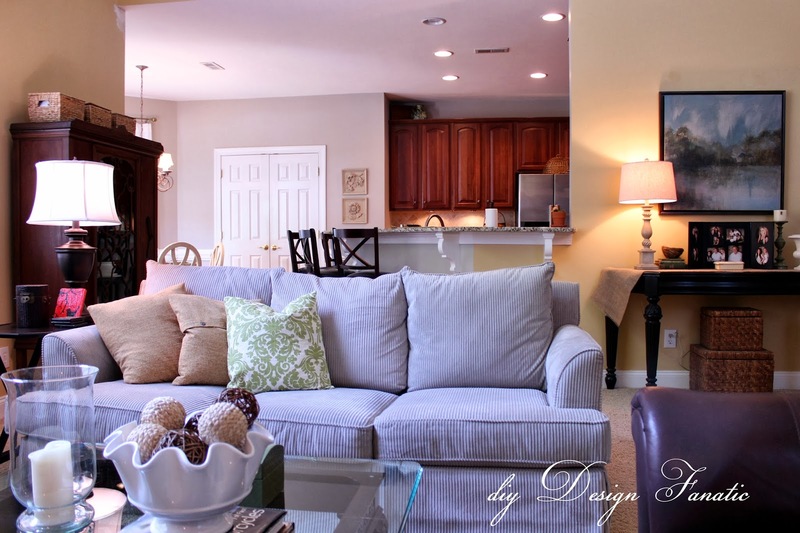 I love seeing how you've transformed your house. It always looks wonderful. I'm spring sick too. It's snowing right now! I love your style and your beautiful home! It is always fun to think back how our style has changed over the years. You are right - how did we ever live without the internet?!! Thanks for the spring countdown...it's snowing here right now so I need something to look forward to. Enjoy the rest of your weekend! Beautiful! 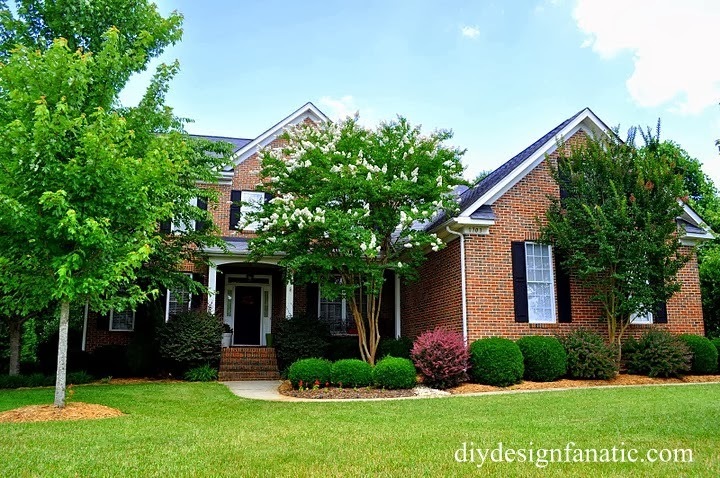 I love your house and yard! I've always loved you home, Pam, and I love how you mix vintage with your original pieces. I think making up as we go along is terrific. We are always evolving. And of course, I always swoon over your yard! Pam I just love your home so much! Your changing styles reminds me so much of my own and considering I still have little ones at home I know it will keep on changing. You've created beautiful spaces inside and out! 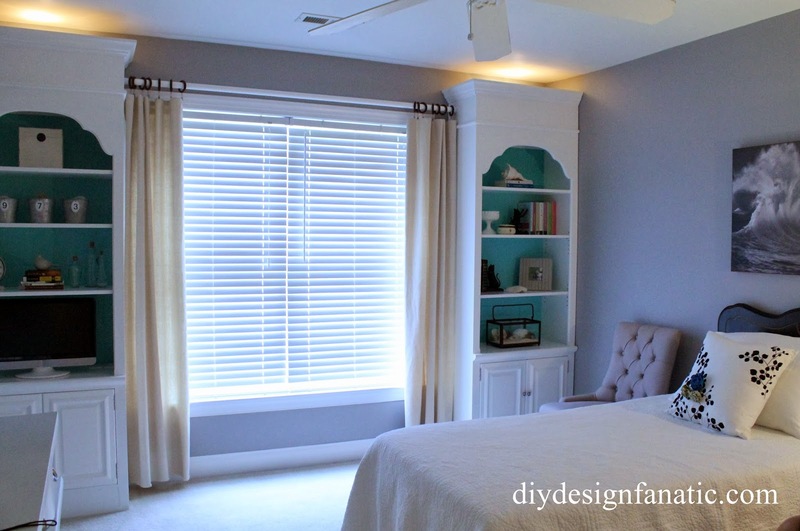 I've followed you a long time and have always enjoyed your style and DIY projects. Your yard is amazing and knowing the work involved in putting that much mulch out is even more impressive! Your home and gardens are gorgeous Pam!…loved your feature at Pamela's and happy to see it again!